A Lunagirl collage sheet design featuring charming angels in shades of pink. 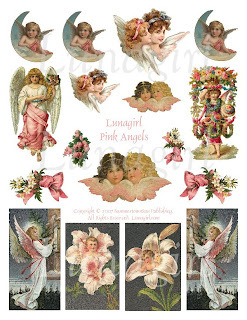 Click on the sample image to see all of our angel collage sheet designs! Free Shipping today ... Holidays coming up!